If you have a business/startup name that’s already been taken on Twitter (or perhaps the .com TLD as well/instead) and you don’t fit the criteria of Twitter’s inactive account policy to claim it, hopefully some of these suggestions will help you out. I was considering suggesting the year of formation (e.g. 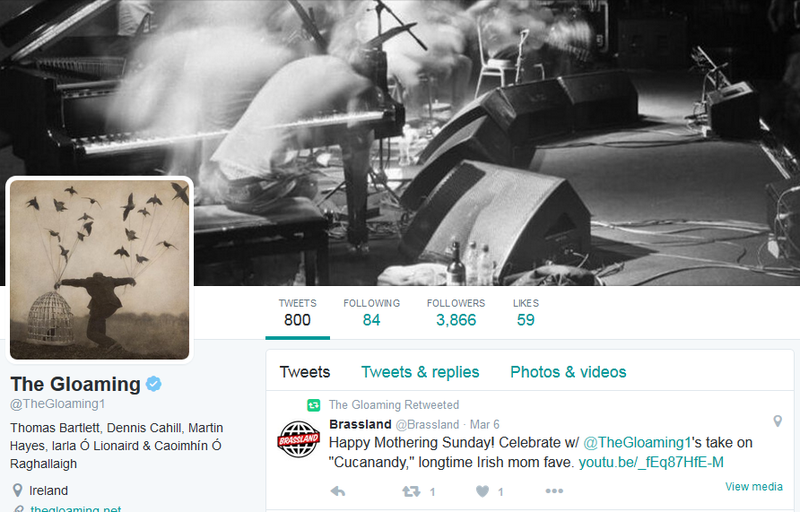 @TheGloaming2011) as well, but to be honest, as soon as 2012 would’ve hit, it would’ve made them look obsolete. So watch out for using years in handles for that reason. “TheGloaming” is quite long, but if your band (or brand) name is shorter then you have a fair bit more wiggle room within the 15 character limit. There are also some great examples (including real-life examples) listed here, here and here. Fill your boots! 🙂 You might find that the examples above might not ‘work’ with your branding, but another example might. Good luck!